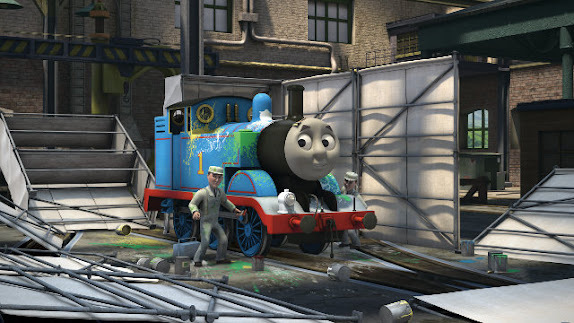 Thomas and Friends Movie: The Great Race! Get ready, get set, GO! Thomas & Friends™: “The Great Race”, the new animated movie featuring the beloved Thomas the train engine is set to premier in cinemas on 11 August 2016! Presented by Mattel Southeast Asia together with movie distributor, Snap! Entertainment, this high-speed musical adventure will be shown exclusively at Golden Village Cinemas across Singapore. In Thomas & Friends™: “The Great Race”, the best engines from around the world will gather to compete in The Great Railway Show, with Thomas looking for a way to represent Sodor but left disappointed when Gordon was selected instead. With Gordon and the other engines making the journey to compete, something goes terribly wrong and it’s up to Thomas to save the day! 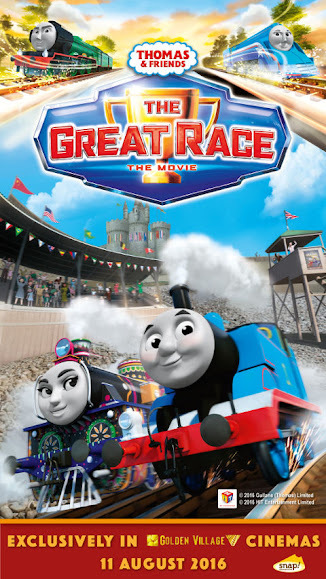 Thomas & Friends™: “The Great Race” features 13 all-new engine characters, each representing 12 different countries to compete in The Great Railway Show. The diverse, multicultural engine characters include “Ashima of India”, “The Flying Scotsman”, “Racing Vinnie” (of North America), “Axel of Belgium”, “Raul of Brazil”, “Etienne of France”, “Gina of Italy”, “Frieda of Germany”, “Yong Bao of China”, “Carlos of Mexico”, “Rajiv of India” and “Shane of Australia”. Click here to check out the latest promotions at Golden Village.